A full list of panellists taking part in the SawaSouthSudan Summit. While you're here, don't forget to check out our Contributor's Corner for messages of support for the #SawaSouthSudan Summit from all over the world. Julie Gichuru is an entrepreneur and African media personality. Founder and Chief Executive Officer of Arimus Media Limited, a production house focused on quality AFRICAN content, and MIMI HOLDINGS LTD, a fashion retail business. Julie conceptualized and hosts the Africa Leadership Dialogues, a syndicated current affairs program with a focus on African development and growth. Gertrude Mongella is a Tanzanian National, In 1991, she was appointed Tanzania’s High Commissioner to India. In 2004, she was elected as the first President of the Pan-African Parliament. More recently she became Tanzania’s Goodwill Ambassador to the World Health Organization, a special advisor to the Economic Commission of Africa, and a member of the AU’s African Women’s Committee for Peace and Development. Mama Rebecca Garang is the widow of Dr. John Garang de Mabior, the late first Vice-President of Sudan and the President of the Government of South Sudan. Rebecca Nyandeng De Mabior was appointed as the Minister of Roads and Transport for the Government of South Sudan. Shuvai Busuman Nyoni is a Gender, Peace and Security expert currently serving as the Executive Director of the African Leadership Centre in Nairobi, Kenya. Prior to joining the Centre, Shuvai worked as the Director of Interventions and before that as the Regional Advocacy Specialist for the Centre for the Study of Violence and Reconciliation (CSVR) in Johannesburg South Africa. She has also served as Gender Specialist for the Office of the United Nations High Commissioner for Human Rights Assessment Mission to South Sudan. Dr Obiageli Ezekwesili is a chartered accountant, former Nigerian Minister of Education, and former Vice President for the World Bank. Dr. Ezekwesili served as Vice-President for the World Bank's program in Africa and was responsible for a portfolio of about $40 Billion and the delivery of projects, economic and sectoral work in 47 Sub-Saharan countries. Koiti Emmily is a medic at Juba Teaching Hospital, South Sudan. She holds an MBBS from the University of Juba. 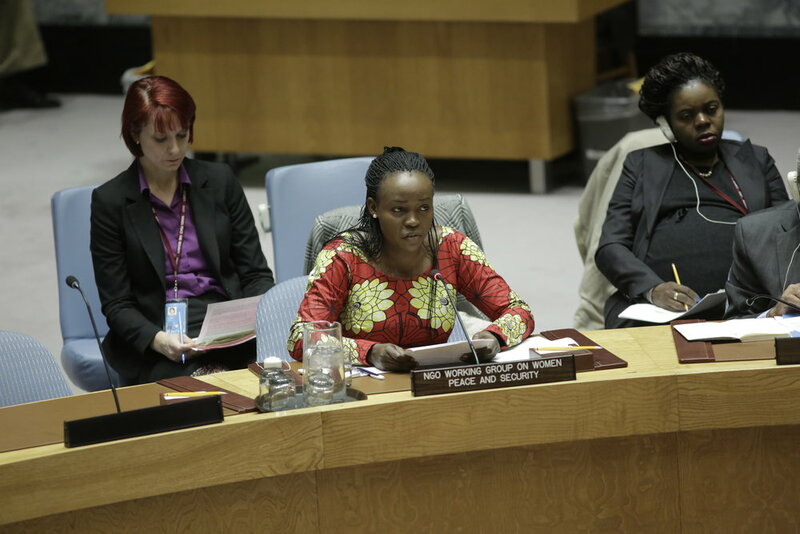 As a passionate youth, women’s and civic rights activist, she is represents the youth in the IGAD –led High Level Revitalization Forum; a major peace process for South Sudan. Dr. Emmily represents the youth in the Joint Monitoring and Evaluation Commission (JMEC) that oversees the implementation of the Agreement on the Resolution of Conflict in the Republic of South Sudan (ARCSS). After stepping down as Executive Director for Greenpeace International, Kumi has since been serving as the Interim Board Chair for the Pan-African civil society movement, Africans Rising for Justice Peace and Dignity. Kumi is a founding ambassador to the Campaign for a Just Energy Future and is a patron of Future SA which both advocate for accountability and an end to corruption in South Africa. He has served as Secretary General of CIVICUS: World Alliance for Citizen Participation, Board Chair of the Global Call to Action Against Poverty (GCAAP) and President of the Global Call for Climate Action (GCCA). Betty Sunday Ben Kute is a South Sudan national and medical doctor from Khartoum University from year 1990 to 1996. As a medical doctor, Betty had been working in Khartoum International Hospital from year 1997 to 2011, because of marginalization of South Sudanese women due to negative cultures and high illiteracy in her society, Betty started advocacy work on women rights and empowerment. Betty start training in a group call South Sudanese Women Political Party Network for Peace that compromises of women leaders from 10 political parties in South Sudan including the SPLM as a ruling party. She then founded a women’s civic group called the Women Action for and with Society in the year 2013 in Juba with the aim of empowering girl child and looking after children who are victims of the violent conflict. Ababu Namwamba is Chief Administrative Secretary at the Ministry of Foreign Affairs in Kenya and the Kenyan Government's peace envoy for South Sudan. Outside politics he is a public interest attorney specialising in international human rights and constitutional law, and a former columnist. Winnie Byanyima, Executive Director at Oxfam International, is a global women’s rights leader, human rights defender and an authority on economic inequality. She is the Executive Director of Oxfam International, a confederation of 20 civil society organisations working together with partners and local communities in more than 90 countries to end the injustices that cause poverty and inequality. Mr Yakani is a South Sudanese national with extensive experience in managing and conducting training and research on security sector reform, governance, human rights, rule of law and gender. With previous professional experience working for organizations such as the African Security Sector Network, ACCORD South Africa and the Overseas Development Institute, Mr Yakani brings a wealth of experience and in-depth knowledge of the South Sudanese context and has experience in gender mainstreaming with specific focus on land ownership, public funds and policy development.